Supporting high-speed, reliable connectivity in today's mobile environments is difficult to say the least. The demands and expectations from your users and today's technology leave you with zero room for error and requires that you get your design right the first time. 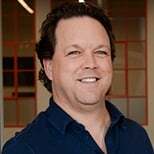 In today's Whiteboard Wednesday, Michael McNamee (Senior Network Engineer) at SecurEdge Networks, explains what predictive wireless designs are, why they are a critical first step and finally what you should expect to receive when you have one completed. Make sure you're ready to deploy a high-capacity, secure wireless network, download our detailed Wireless Network Design Kit. Click on the whiteboard image to open a high-resolution image! Hey there SecurEdge fans, and welcome to another edition of our Whiteboard Wednesdays. This week we're talking to you about predictive wireless designs and what you should expect to receive when you have someone design your wireless network. A predictive wireless design is really the first critical step in starting down the road of deploying a wireless network. Not only will the predictive design help you avoid problems with your project from the outset, but it's also going to ensure that you get the most out of your new network from day one and even potentially avoid spending too much on it. The challenge comes in that not all predictive designs are created equal. That's exactly why I want to walk you through today what you should expect to receive from a predictive design. 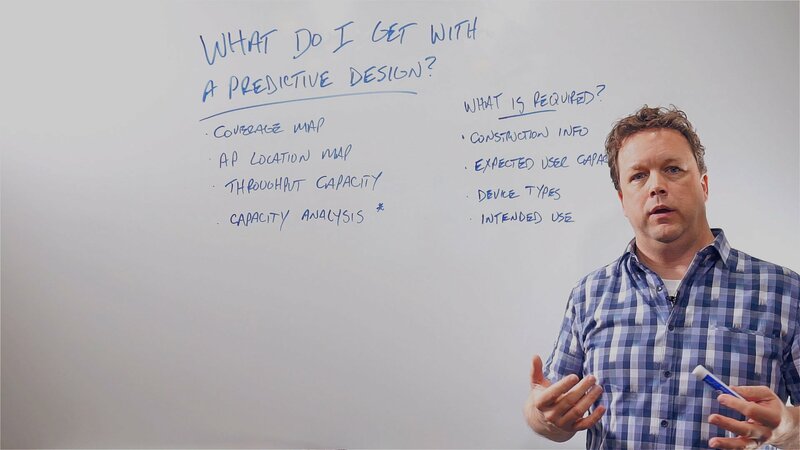 What Should a Predictive Design Include? A properly completed predictive design should include at least the following items. First and foremost is your coverage map. You want to see the heat indication of where the APs are covering. You want to see the predicted RF or wireless coverage from the access points that are going to be deployed throughout your building or buildings to understand are they providing enough signal for the types of devices that you're using. Secondly, the predictive design should have an AP location map. This indicates where the APs are to be located throughout your facility for proper signal delivery. Third, the design should indicate the anticipated throughput capacity of the network. This could be on a per AP or per network basis. Fourth is optional, but if your network is going to have some challenges with capacity or you're going to have very high numbers of users, it's generally a good idea to do some sort of capacity analysis which includes calculating the devices and their capabilities along with the anticipated applications and what load or impact they're going to have on the wireless network. This calculation can even change a coverage capacity design into a very high density capacity design which ends up requiring greater numbers of access points to support that kind of demand. In order for a predictive wireless design to be completed, it's necessary that you provide electronic floor plans of your campus, building or facility to the designers. It's also important that the designers gather from you additional information that's going to be critical to the design process. What they're going to require from you is construction information. They're going to need to know about the types of materials that the building is comprised of because they have an impact on how the RF propagates throughout the environment. It's also essential that they get some expected user capacity about the network. Our rule of thumb is in a given space we calculate about 50% of the users are going to be associated or connected to the wireless network at any one time, but then only about 30 to 35 percent of them are actively engaged in some sort of activity that is consuming bandwidth or actually throughputting on the system. Remember that sometimes users have on them up to three devices at a time. That's going to load and add additional capacity demand onto the network. The device types that are intended to be used on the network are going to be critical to the design process. Understanding their capabilities and how they impact the performance or what demands they have on the network are going to be part of that critical design process. Also, what's the intended use of the network? What applications? What kind of usage is the network going to have? How is that going to impact? So What Should You Expect to Receive? The designers are going to take your floor plans and then all this information that they gathered from you, and they're going to import them into some sort of wireless network planning software. The software is going to take into account the size of the facility, the building materials, how they affect RF, the types of access points and antennas and several other criteria to model a predicted wireless network for you. Of course one of the most important pieces of information you're going to receive from a predictive wireless design is the expected cost of the project. Remember, this is a predictive design. The project cost should be used as just a budgetary estimate. The predictive design should then be used to engage in an active onsite validation survey. 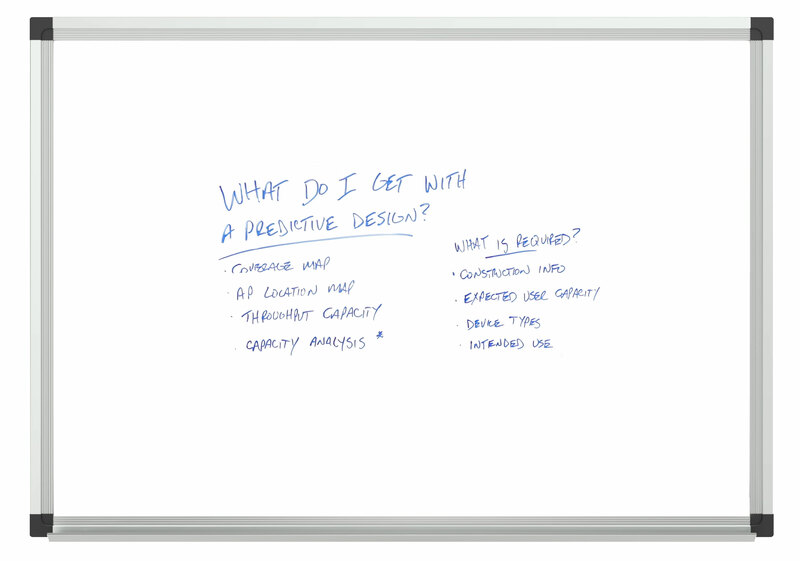 The validation survey is another topic for another Whiteboard Wednesday, but it's important to keep in mind that the success of a wireless network project is the direct quality of the design. If you implement the predictive design before validating, you run the risk of being over or under engineering the project. You wouldn't believe how many times we've been called in to fix wireless designs that were either under engineered or over engineered, which in both cases has ended up costing the customer additional expenditures of money. All right everyone, I look forward to your comments as well as answering any questions you might have about predictive wireless designs and what you should expect. Thanks for watching today, and we'll see you again for another edition of Whiteboard Wednesday. Take care.